Patience paid dividends for Ott Tanak as he claimed a third consecutive WRC win. 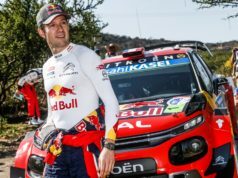 He climbed from ninth midway through Friday’s opening leg to head a Toyota Yaris one-two by 22.3sec from Jari-Matti Latvala. 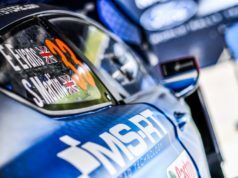 Tanak moved into the lead of one of the most dramatic rounds in years on Saturday after title rivals Thierry Neuville and Sébastien Ogier retired. He eased through Sunday’s finale and triumphed for the third consecutive rally. The Belgian gained some consolation from a barren weekend by claiming maximum bonus points in the live TV Power Stage. 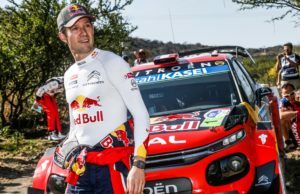 Ogier is a further 10 points back with three rounds remaining. Second was Latvala’s best result of the year and Hayden Paddon claimed a similar season-best in third in a Hyundai i20. The New Zealander finished 1min 46.3sec behind Tanak. Erstwhile leader Andreas Mikkelsen recovered from a broken front right driveshaft yesterday to finish fifth in an i20. Ogier took a solitary point for 10th after team-mate Elfyn Evans deliberately incurred time penalties to drop behind the Frenchman. Round 11 is the Dayinsure Wales Rally GB, which is based in Deeside on 4 – 7 October.